Are you Prepared for the Next Natural Disaster? With the recent devastation caused by Hurricane Florence in the Carolinas, this got us thinking: Are we all ready for the next potential natural disaster? While Colorado certainly doesn’t have the type of severe disasters like that of Hurricane Florence, there are still some natural disasters that can occur. For this reason, we want to share some safety tips to help keep you and your home safe during the event that Mother Nature strikes. Depending on where you live in Colorado, there are a number of potential natural disasters that can take place throughout the year. Forest fires, hail and heavy snow storms are the main threats to most of us throughout the state. However, we also get occasional tornadoes that pop up here and there on the east side of the state. You also need to be aware of flash-floods that can also occur during heavy rains or from mountain run-off. Unfortunately, many of these disasters will cause damage to your home. This means you will likely need to find a repairman! Fortunately, the Repairman app can help you if repairs are needed (more on that later). Before we get into some of the factors that are relevant to your home during an emergency, let’s take a look at some the things that should be done first to take care of you and your family. Your best option is to create an emergency plan using this checklist from the American Red Cross. This will help you layout safety spots, prepare supply kits, formulate escape plans and more. At the end of the day, it’s always better to be safe than sorry when it comes to the preparation for potential disaster emergency situations. While there are some precautions you can take before a disaster strikes — such as cleaning gutters and removing outdoor furniture before heavy storms — it’s the aftermath that you need to focus on. 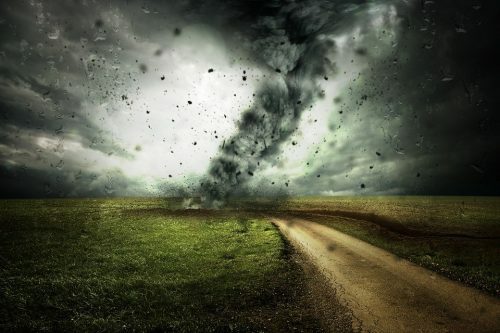 Sometimes, there is no amount of precaution to save your home from damage that Mother Nature dishes out. If any repairs need done to your home, it’s essential to bring out licensed service providers. When it comes to repair work on your home, there are local codes that need to be followed. Some jobs may require the proper permits to be pulled from your local government — something only the homeowner or a licensed provider can do. When it comes time to put your home up on the market, permits are an important component that buyers will want to verify before a sale goes through. Whether it is damage to your roof, windows, HVAC system, plumbing system, or electrical wiring, the Repairman app provides you with easy access to Colorado-based licensed professionals in all of these areas. You can download our on-demand home services app for FREE from your favorite AppStore, or directly from the RepairmanApp website. And don’t forget to sign up for our newsletter to receive all of the latest news and updates. For more information on other home improvement-related topics, be sure to check out the rest of our blog.